It’s Oscar time. Who are you hoping to be the winner this year? 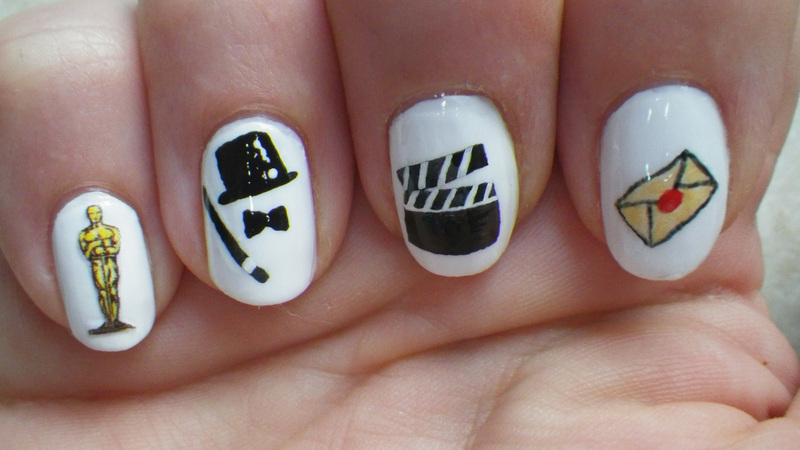 I love movies and I love the Oscar’s. It exciting to me and I love to watch the entire thing. From the red carpet to the after shows. 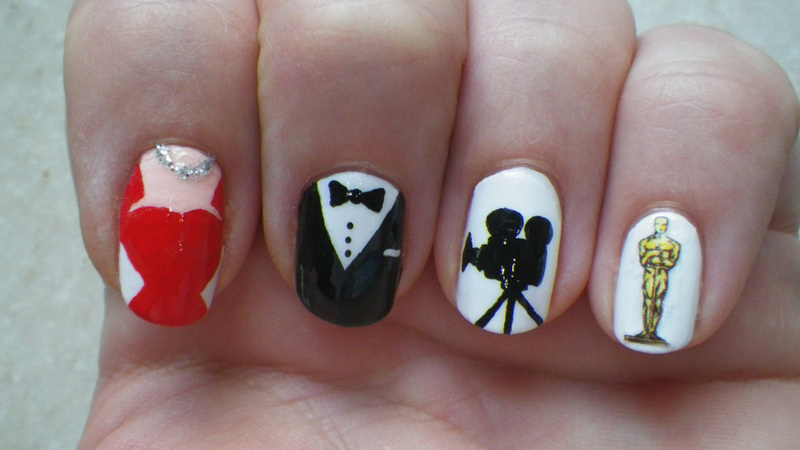 I did my nails for the big show and I am hoping for winners in both War Horse and The Help. I used OPI Alpine Snow and the rest is Acrylic Paints: Black, Red, Yellow, Peach and a little silver polish glitter for the jewels. This is awesome! Really cute idea, so creative! Nice job! I’m especially fond of the top hat. Thanks, me too. It’s old scool is’t it? Indeed! I love old hats.